2016 First Pitch Essay Contest Winners! 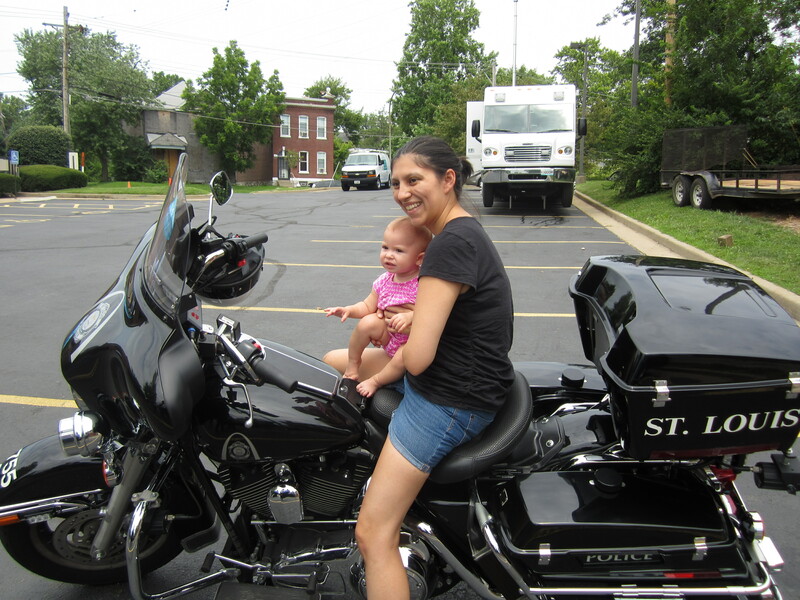 This summer, we asked Summer Reading Club participants from all around St. Louis to tell us why they are the best pitcher for the St. Louis Public Library. The winner will have a chance to throw out the first pitch at a St. Louis Cardinals baseball game. Check out the winning essays below! I think I should do the first pitch at the game because I started reading and I couldn’t stop. The first day I signed up for this I read 40 minutes. I got tired but did not give up. I love reading. When I am not busy I have time to play games but I read instead of playing games. When I play I read too. Reading at bedtime. Before I go to bed I always read. I never want to go to sleep, just read. Reading not leaving. Sometimes we go somewhere I always bring a book and even when I don’t have to read I read anyway. Reading is the key to my education. Reading makes me learn a lot. Reading makes you have a good imagination. I think I should throw the first pitch at the Cardinal game because I love baseball. I have also been reading a lot this summer. That’s why I want to throw the first pitch at a Cardinal game. Worlds of Wonder: Pancake Art! School-age patrons at Central used lung power to propel pom-poms along a winding trail through bumpy bubbles, a tunnel, a sand trap, and ending with a catapult ride over a “mountain” to the finish line. 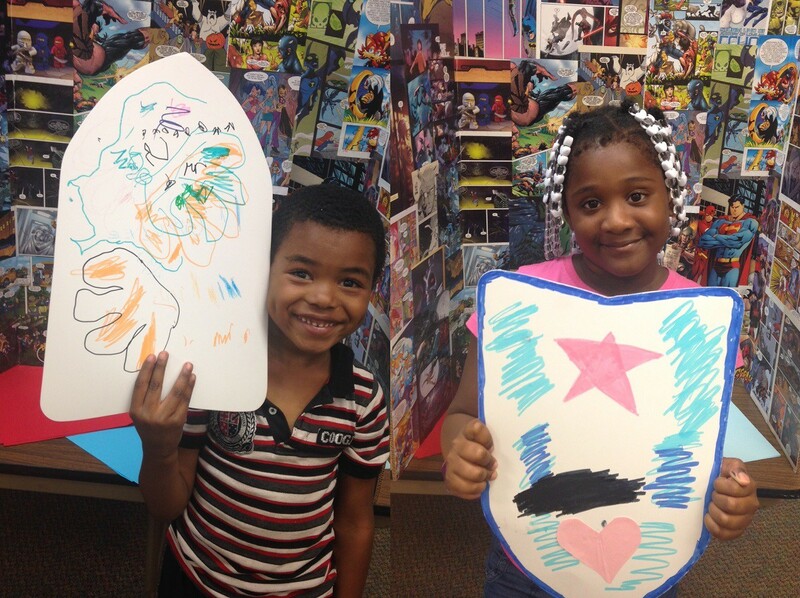 For more entertaining crafts or activities, visit Central Library each Wednesday in June and July at 2pm! For further adventures check out these early elementary picture books. In this almost wordless picture book, 3 young bicyclist’s find a carousel with a mysterious bee and typewriter. When they discover the power of the typewriter, events turn almost catastrophic. Fu’s temper tantrum lands him in deep trouble with a powerful warlord. Can the advice of the Master save him? Did you know that you can join the Summer Reading Club from home? 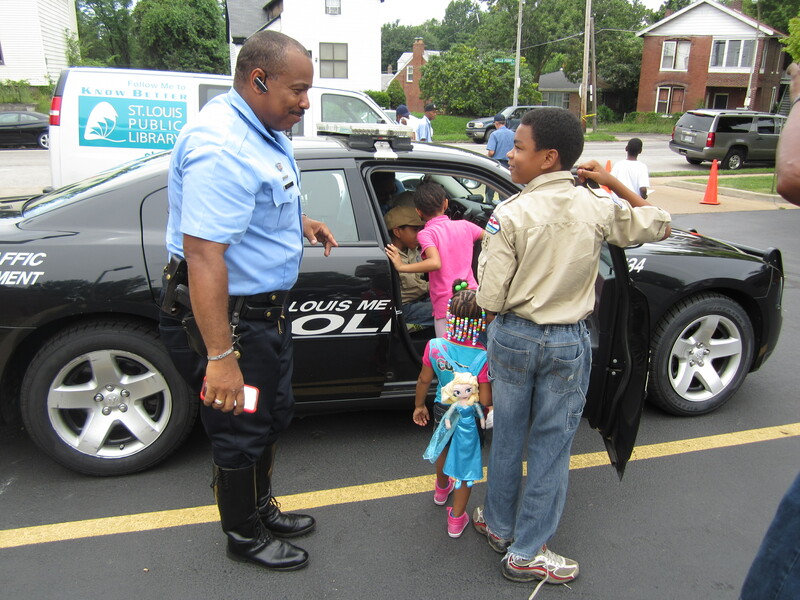 If you go to the registration page, you can use your child’s library card to get them registered. No card? No problem. Just bring them to the library with some proof of your address and get them one. It’s free! 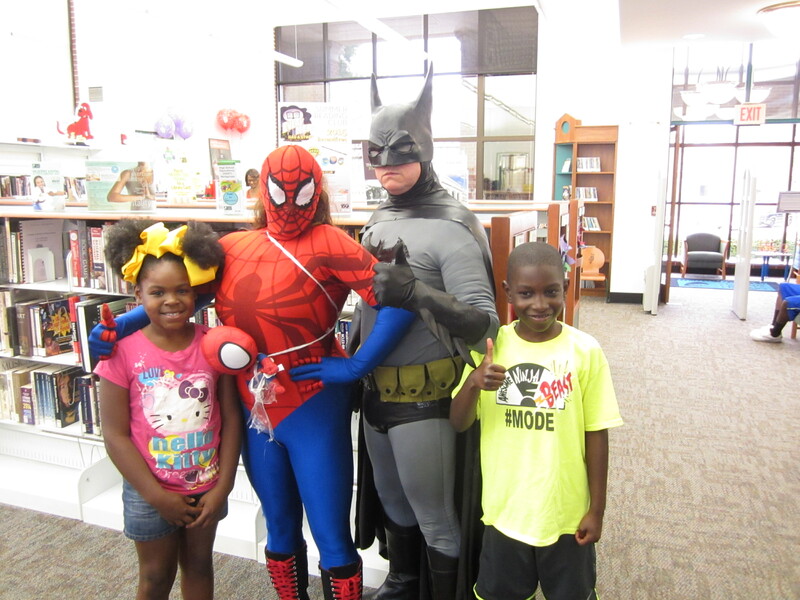 Don’t forget to sign yourself up for a library card and the Summer Reading Club—the program is for everyone! The theme this year is “Worlds of Wonder”. In honor of that, here are some out-of-this-world books for your family to enjoy. Milo doesn’t get it: What’s the big deal about moms? They’re just slave-driving broccoli bullies. Yet they are worshipped the world over! Perhaps even the galaxy over-because here come Martians and they’re after one thing only: moms. Milo’s mom in particular! That’s quite a long way to come for a mom-could it be that Milo has been overlooking something special? The twisted team that gave the world Squids Will Be Squids and The Stinky Cheese Man now delivers a whole lot of Baloney. Henry P. Baloney. Henry is an alien schoolkid who needs to come up with one very good excuse to explain why he is late for szkola, again. Otherwise, his teacher Miss Bugscuffle promises, it’s Permanent Lifelong Detention. Henry’s tall tale of his lost zimulis-received from deep space by Jon Scieszka-is told in at least twenty different Earth languages and graphically recreated in Lane Smith’s out-of-this-world illustrations. The unbelievable trip into Henry’s wild universe may be the most original excuse ever for being late for szkola. Or it might just be Baloney. Henry P. Baloney. While on a field trip a young alien named Blip notices a blue and green world and sneaks off to investigate. Blip inspects and identifies each of the perplexing objects that cross his path-from a friendly pig and a clutch of ardent chickens to an annoyed cow and an oh-so-tempting tractor-can he figure out where he’s landed before his teacher shows up? In a near wordless masterpiece that could only have been devised by David Wiesner, a cat named Mr. Wuffles doesn’t care about toy mice or toy goldfish. He’s much more interested in playing with a little spaceship full of actual aliens–but the ship wasn’t designed for this kind of rough treatment. Between motion sickness and damaged equipment, the aliens are in deep trouble. Twelve-year-old Aidan lives and works at his parents’ motel on the Space Coast in Florida, so he’s seen a lot of weird stuff. Even his best friend, Louis, is a little bit crazy–he’s obsessed with UFOs and swears he saw one two years ago. But things at the Mercury Inn are about to get a whole lot weirder. When an actual unidentified flying object suddenly appears in the sky over the motel, Aidan begins to realize that some of the residents of the Mercury Inn may be much more unusual than hethought. And Louis might not be so crazy after all. Filled with quirky characters and atmosphere, this beachy alien caper, like the aging motel where it takes place, is anything but ordinary. Some people used to think that Earth was smack-dab in the middle of the universe, with all the stars and planets held in the sky by giant glass balls. Boy, were they wrong! In this follow-up to the award-winning Boy, Were We Wrong About Dinosaurs! , Kathleen Kudlinski and John Rocco look at the mistakes, mishaps, and creativity that are part of scientific discovery. From the first humans wondering about the night sky to the demotion of Pluto to dwarf planet status, this book is an entertaining and informative look at how scientific theories change over time. 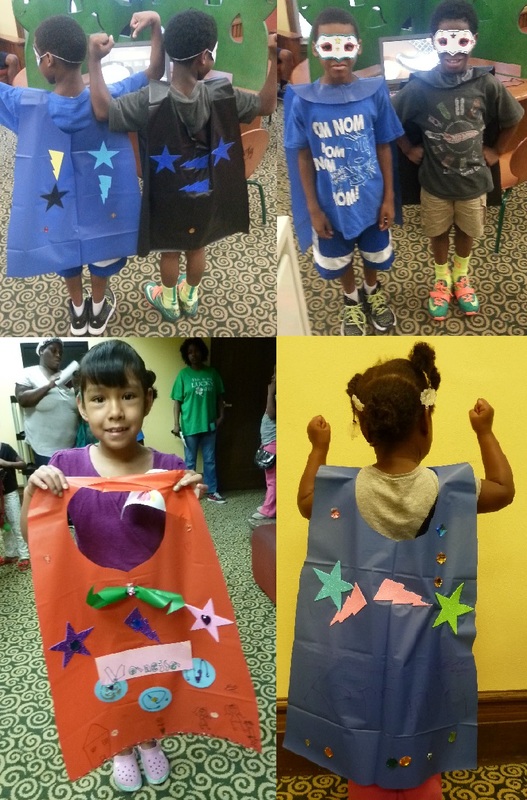 Come back to Earth after your spacey reads to create some out-of-this-world crafts; make your own rocket ship with instructions from Crafty Morning, or a cosmic egg with instructions from Hello, Wonderful! 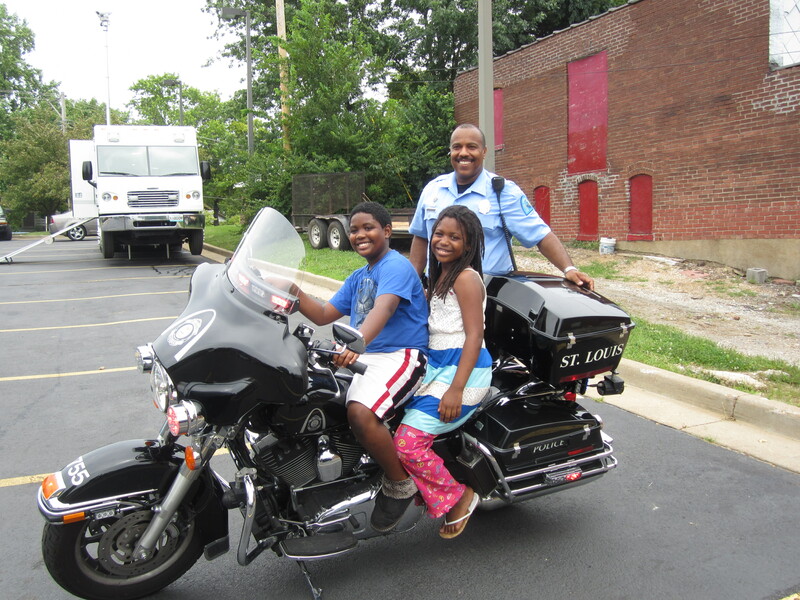 Summer Reading Club Begins TODAY! 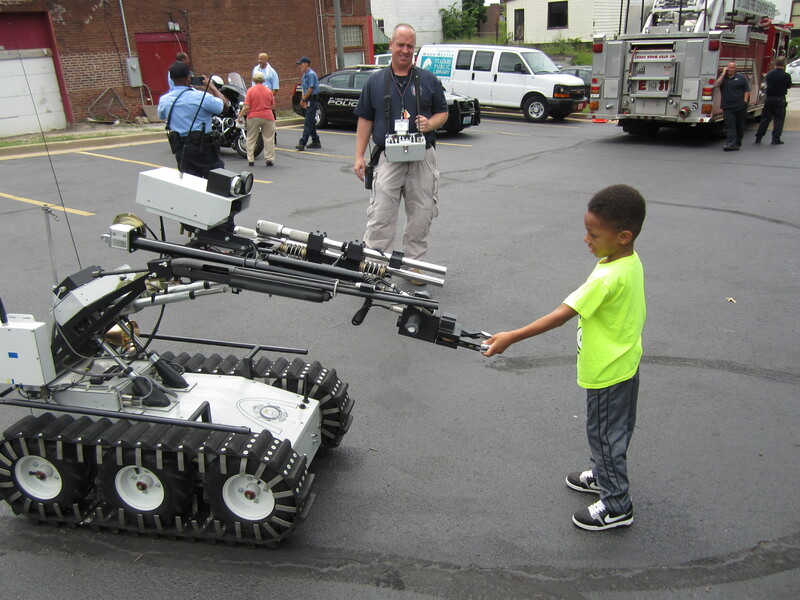 In July, families at Baden Branch had the opportunity to meet “Everyday Heroes” like police officers (including the Bomb Squad and K-9 Unit! 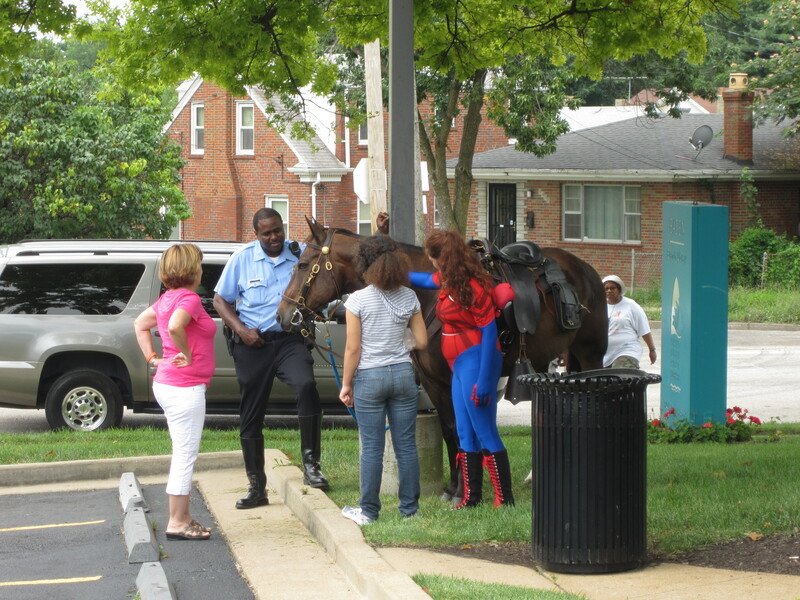 ), firefighters, EMT’s, marshals, sheriffs, park rangers, alderpersons and community activists! In addition to these everyday heroes, a few fictional heroes also made an appearance. 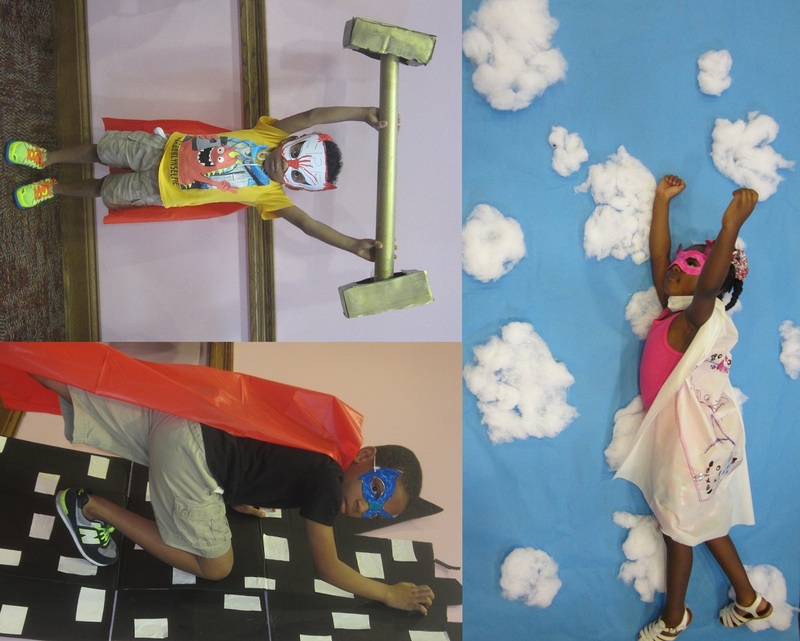 Superheros continue to take over the library this summer! 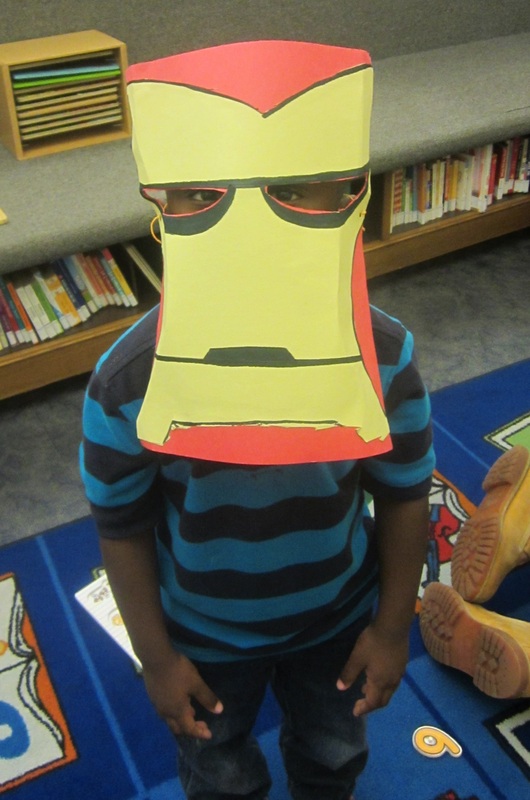 Heroes at Barr branch flew in for a superpowered party, heroes at Carpenter perfected their costumes, heroes at Divoll created shields to ward off attacks from their arch-nemeses and even Iron Man made an unscheduled appearance! And last but not least – Iron Man!